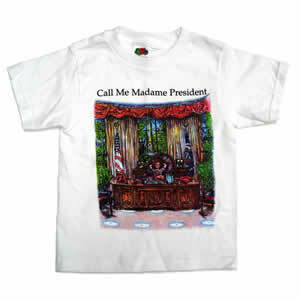 Support the ambitious young girl in your life by getting her our "Call Me Madame President" t-shirt. When she's sitting in the Oval Office, she'll thank you for always believing in her and supporting her dreams. Made in the USA, Sweat-shop Free, 100% Cotton, Pre-Shrunk.